That's the word out of Lucasfilm right now as they're evaluating what's next for the Star Wars franchise. Currently, there are four more films on the schedule in the galaxy far, far away: Rogue One: A Star Wars Story December 16, 2016, Star Wars: Episode VIII December 15, 2017, Han Solo Star Wars Story Film May 25, 2018, and Star Wars: Episode IX May 24, 2019. Beyond that, Lucasfilm has yet to decide what's coming next. "There are [possible movies] that we have been talking a lot about," Lucasfilm president Kathleen Kennedy told EW. "We are planning to sit down in January, since we will have had The Force Awakens released, [and] now Rogue One, and we've finished shooting Episode VIII. We have enough information where we can step back a little bit and say, 'What are we doing? What do we feel is exciting? And what are some of the things we want to explore?'" Could that mean the core "Skywalker Saga" of the episodic movies comes to a close with Episode IX, the end of the sequel trilogy? Yes, says Kennedy, and it's one of the several options they're talking about at Lucasfilm right now. 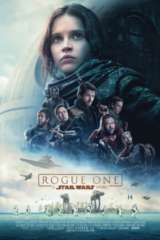 A lot of that depends on where Rian Johnson and Colin Trevorrow take the story of Rey, Kylo Ren, and the others in the next two films, and of course depends on the performance of Rogue One, the first of the new standalone films. In fact, should that be a runaway hit, Lucasfilm has even talked about the possibility of all standalone movies, or adopting the model of sister studio Marvel Studios with a series of standalone films that connect into a larger crossover movie later. "That's a conversation going on right now, too. I have to honestly tell you, could we [do nothing but stand-alones]? Sure. But I don't know. We are looking at all of that," Kennedy said. One of the things Kennedy implemented when she first came on as the new president, hand-picked by George Lucas to lead the company and franchise he built into the new era under Disney four years ago was the formation of what's known to fans as the "Star Wars Story Group." Led by Kiri Hart, the story development team includes longtime Lucasfilm employees (and walking encyclopedias of Star Wars knowledge) like Pablo Hidalgo, Leeland Chee, and Carrie Beck, amongst others with longtime and more recent histories with the franchise. Kennedy said that the Story Group, plus other trusted creators in the inner circle (Dave Filoni, showrunner of Star Wars Rebels, for instance, is often involved in discussions with Story Group that go beyond animation) will all be involved in the varied talks about the future of Star Wars. "The story tream and the trust, and the visual effect team that we have been working with" will be part of the meetings in January to discuss the future, Kennedy revealed. "We always pull in the directors and the writers that have been a part of these other three movies. We create pretty much a very collegiate group of people to share ideas." So will the Saga, the episode films that center around the Skywalker family, end with Episode IX? While it's an option, and part of the discussion, it also isn't one worth placing bets on. While Star Wars: The Force Awakens was an admittedly special case, it did absolutely bonkers box office business, topping two billion dollars. That's the kind of number that makes most companies start thinking five movies into the future, not just two. 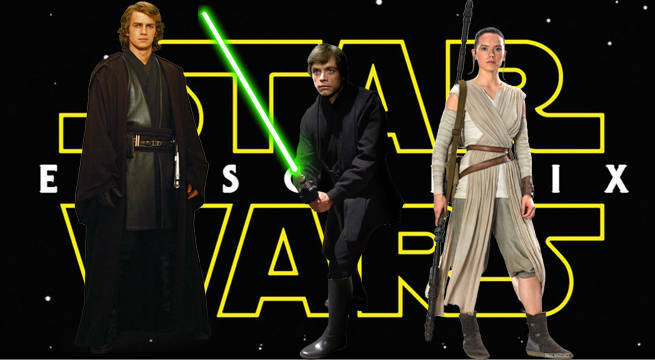 The fantasy aspects of Star Wars have long prevailed over the science fiction, as well, and legacy, family, and how things can center on one person or one line of descendancy is a staple of the genre. If you say "Star Wars" to the average joe on the street, they can nearly all tell you about Luke Skywalker and Darth Vader, and that's brand recognizability you don't throw away without extreme care. Luckily, the team Kennedy has assembled has demonstrated extreme care so far, and starting in January, we should start to learn what they decide upon once they evaluate the future of the franchise. Rogue One: A Star Wars Story, directed by Gareth Edwards, hits theaters December 16, 2016. MORE STAR WARS NEWS: Josh Trank's Cancelled Star Wars Film Was About Boba Fett | Star Wars Standalone Films Were a George Lucas Idea | Disney CEO Bob Iger told JJ Abrams The Force Awakens Was a $4 Billion Movie |Han Solo Star Wars Story Film Will Have Heist or Western Feel Says Lucasfilm President | Rogue One TV Spots Feature New Footage | Will Darth Vader Use His Lightsaber in Rogue One?| Does Jyn Erso Have a Major Star Wars Artifact in Rogue One?